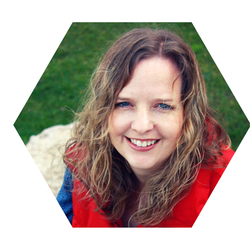 Looking for a chore system to help your kids take ownership of their jobs? With four boys, I am all about chaos management. You are going to love this simple tool. Ever the optimist, I believe this new Clothespin Chore System is going to revolutionize my house cleaning. And family relationships. And possibly bring world peace. Because you know that thing where every day you say, “Hangupyourcoatandputawayyourshoes?” No? Just me? 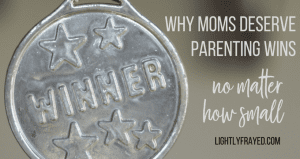 As a Mom, my words are tired. Are your words tired too? It only took my son’s Kindergarten teacher two days to whip 28 kids into a routine. Seven months into the school year and I am still a waffling nagster with my smaller brood. So I decided this Mama needed a system. If my chore system was going to sit on my counter, it had to be pretty. 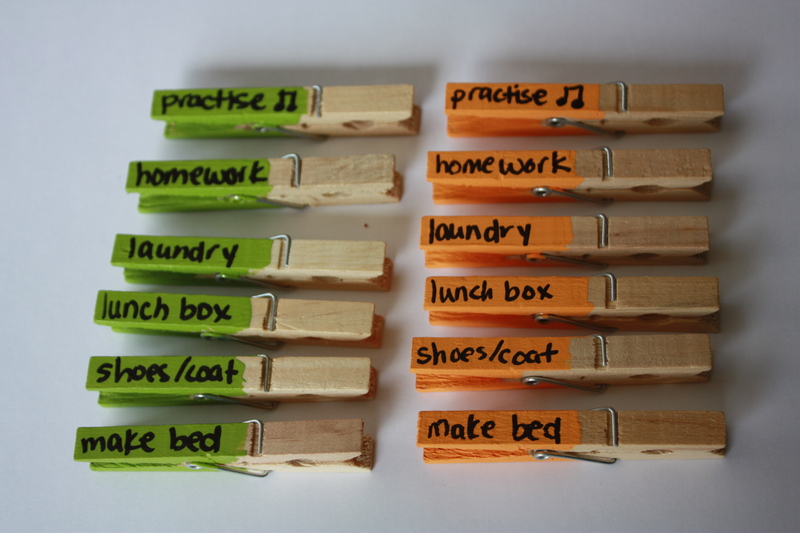 I wish I could properly credit the wise creator of this clothespin chore system. If you are the creative genius – message me and I’ll gladly offer you credit and a chocolate bar. Today I put the finishing touches on this project, and I can’t wait to show you. Please celebrate this small victory of crossing the finish line. With the help of my 5 year old assistant who kept me motivated. 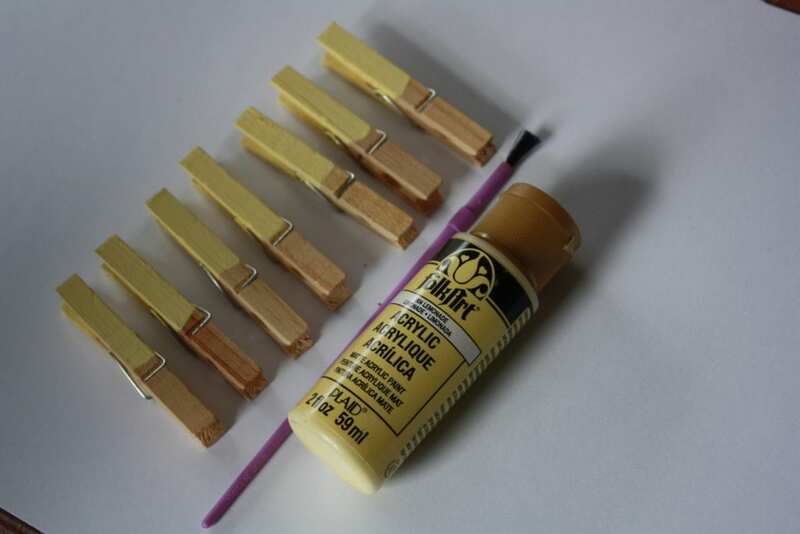 Time Saving Tip: Get this instead of paint to decorate the clothespins. Complete the entire project in 7.2 minutes. 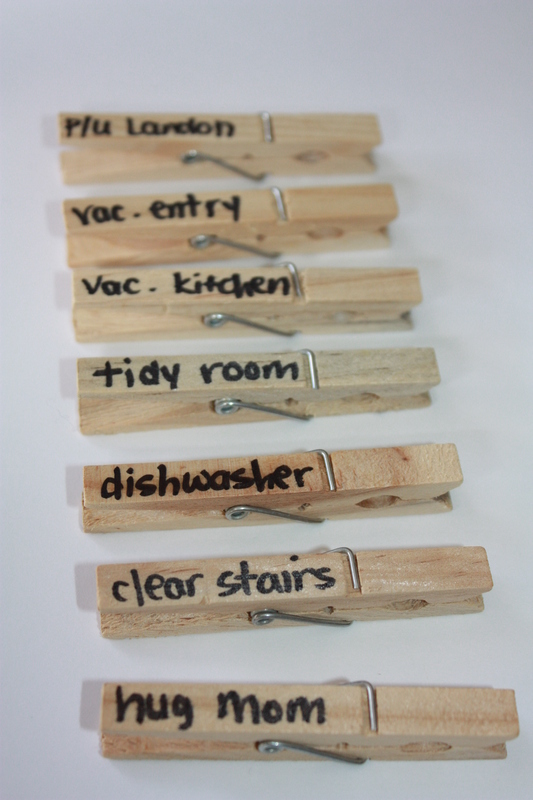 We painted half the clothespins so there was enough room to write on each one. I tried really hard to not micromanage and my boy proudly painted his colours all by himself. Each child chose their own colour clothespin. After the paint dried, I wrote down all the daily tasks my kids need to do without ever being reminded again in their entire lives. Never. Ever. Ever. There are so many other things you could add to the list of expectations, depending on the stage you are at. Brush teeth, get dressed quickly, wake up without complaint….. I kept it pretty simple for our launch. 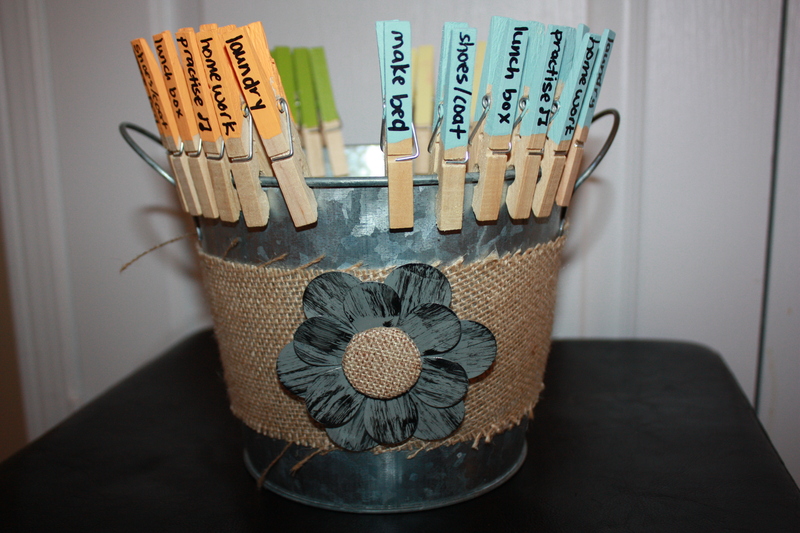 Every child is responsible to move all of their coloured clothespins into the bucket by the end of the day. So Orange Boy will make his bed in the morning. 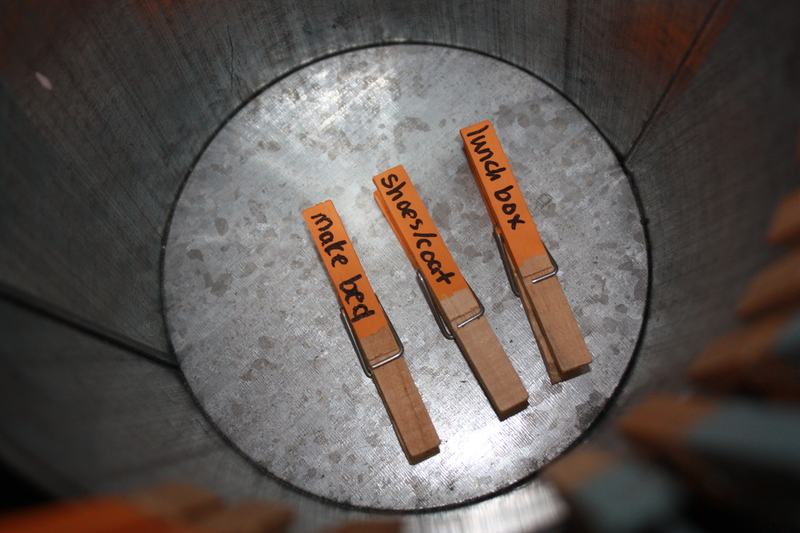 Plink (clothespin hitting the bucket bottom). Then he’ll put his shoes and coat away after school. Plink. Then he will empty his lunch box and put it in the dishwasher. Plink. 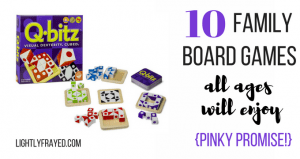 At first, the delicious sound of the Plink had a lot of buy in, especially with the 6 and 12 year old. But as this began to lapse, I switched it up a bit. I required all pins are plinked before dinner time. When we implement new systems, we need to be flexible and adapt them over time. And the best people to brainstorm what to do when a system is not quite working? Our kids. At a quick glance, I can see that Orange Boy has not practised piano, finished homework or put away his laundry yet. Get going Orange boy. I know you’re hungry, so plink those pins! 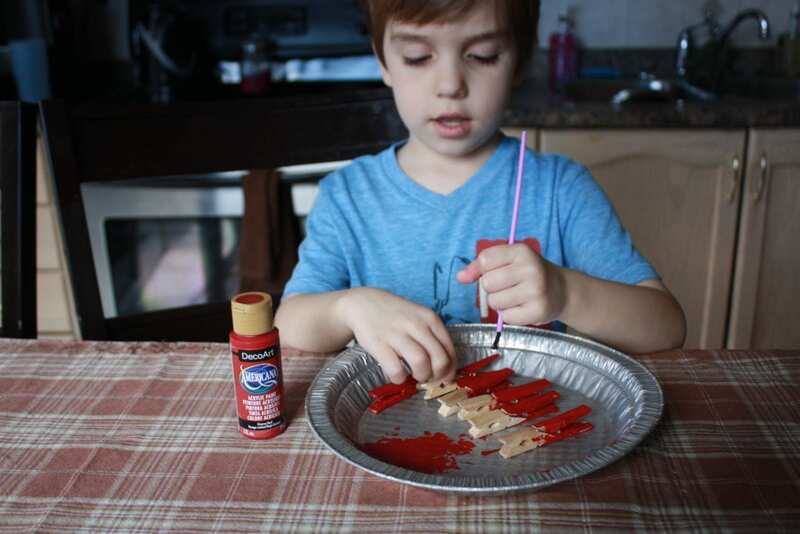 Those few leftover clothespins that did not get painted will serve a purpose with unlimited options. You can assign 1 daily task to each child and put it beside their painted pins. So they know they need to do their daily coloured task PLUS 1 extra task of Mom’s choice. Or it could be an empty clothespin that means, “Ask if there is anything I can do to help?” after dinner time. Oh yes. That’s a good one. Orange Boy just begged me to let him close his eyes and randomly select his extra job for tomorrow, which is another great idea. Really hope he gets the one on the far right. I am not above assigning “Hug Your Mom” as a chore. Humour is the secret sauce to survival around here. In less than half an hour have created your own chore system. Or even faster, if you use washi tape instead of paint. And when you feel optimistic about the changes coming your way, don’t worry – it’s not just the paint fumes. 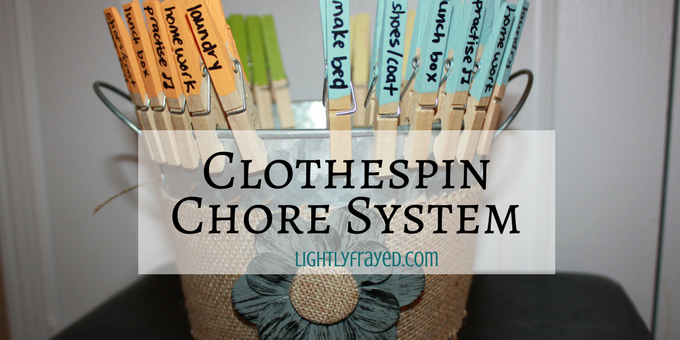 What chore systems have worked for your family? Share this simple tool with other parents? 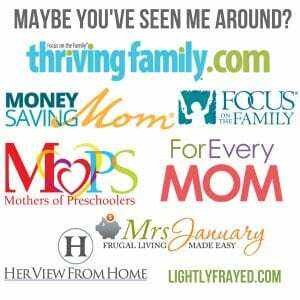 Could you use a bonus tool to make Mom life easier? To cut down whining and squabbling and increase the peace in your home. 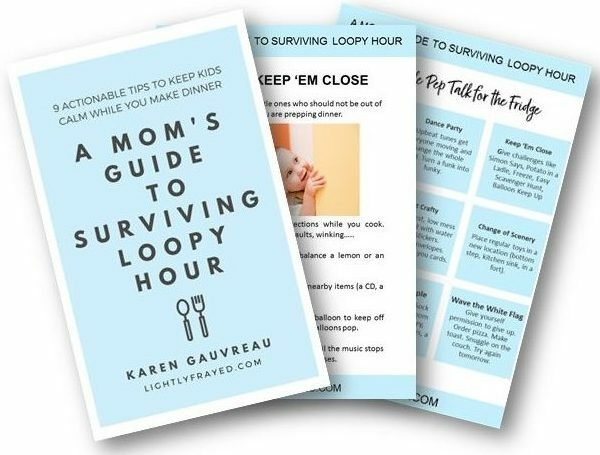 This FREE ebook is packed with ideas to survive our craziest time of day – where we try to flip pancakes while the kids are FLIPPING OUT (sorry for yelling). Solidarity, Moms. So happy to have you here – stay a while. 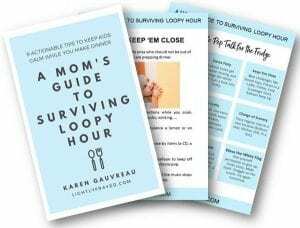 There’s a blend of help and humour, infused with hope for our unique calling as Moms. Frazzled? Messy? Trying to cling to humour and lightness? Welcome to Lightly Frayed. Love this – my kids are now teenagers so wouldn’t work but great for the youngsters. I just implemented 15 min chore time before dinner – everyone in the house (except the cook – which we take turns doing) has to help out for 15 mins – bins out, put washing away, etc – 3 people doing 15 mins = 45 mins help which gets a lot done. Thanks Charlotte. Love your suggestion of blitzing chores as a family. Sometimes I enlist help before bed and I can’t believe what we can accomplish as a team (instead of me flying solo). Just wondering . . . are you still using this? How’s it working? I’m about to try a modified version for my 14 year old daughter. Wish me luck! Hi Angel. It worked SUPER well for a few months then something happened and we stopped plinking the pins. Just told my kids yesterday that we were going to start it up again because it was so much better than a nagging Mama. They didn’t disagree. My strength is not in systems and routines, so tangible tools like this (or modified versions) really do help me. Genius as usual! Shared it with my hubby. I can’t wait to hear the moans and groans. 😀 I know the teenagers will be SO excited to earn Fortnite with this. Let me know how this goes Ana. Solidarity, Mama! 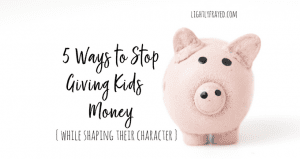 Love the idea of customized money – it is an obvious sign of Mama brilliance. And – yes – to systems that evolve with ages and stages. Thanks for chiming in! Just found this on pinterest with a search. Amazing idea. Do you ever give them an allowance? Hey Tova – that’s a fun way to be found. The clothespin idea was not my own originally, but I couldn’t find who created it originally. It’s just one of those ideas that is floating around cyberspace 🙂 We have not done an allowance, mostly because I am not great at following through with systems. 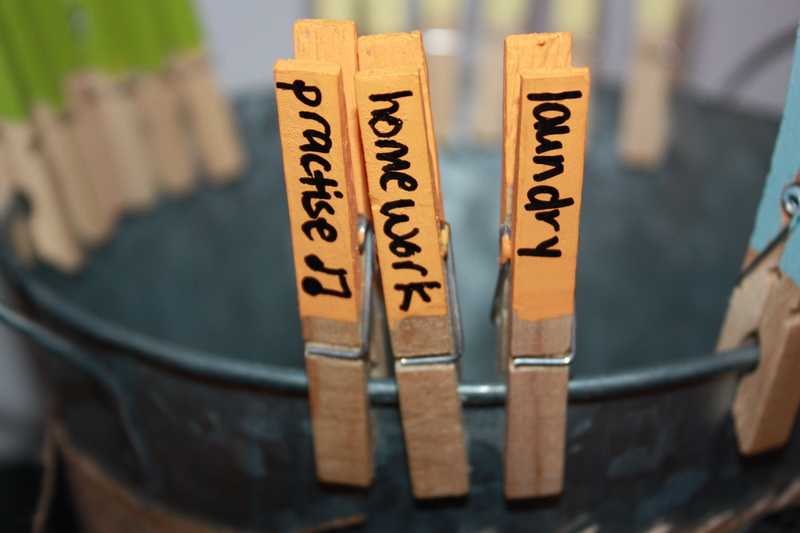 This clothespin method would work really well in conjunction with an allowance. (ie if all clothespins are ‘plinked’ within a day/week/month, you give $x). I’d love to hear if you try it with your family.